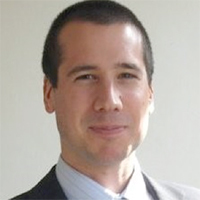 David da Silva is Deputy Head of the Capgemini UK Data Science team, which is currently 50 Data Scientists and growing. He has experience in commercial analysis products like SAS but prefers the flexibility of open source technologies, especially Python, and is in the process of learning Scala (Spark). His background is in Military Operational Research but mainly works on Network Analysis solutions and Machine Learning frameworks for fraud detection.